BMW is not just a car brand- it’s a lifestyle. If you own a BMW, that says a lot of you, your lifestyle. This is a car that encompasses comfort, luxury, style before anything else. Infact is it often said that once your own a BMW, you can’t get back to driving anything else. (which means once a BMW drives, always a BMW driver) That is the power of the car. BMWs have been known in history for their matchless class and timeless beauty. However old a BMW, it will never lose it class. They are gorgeous cars that only get more gorgeous with age. 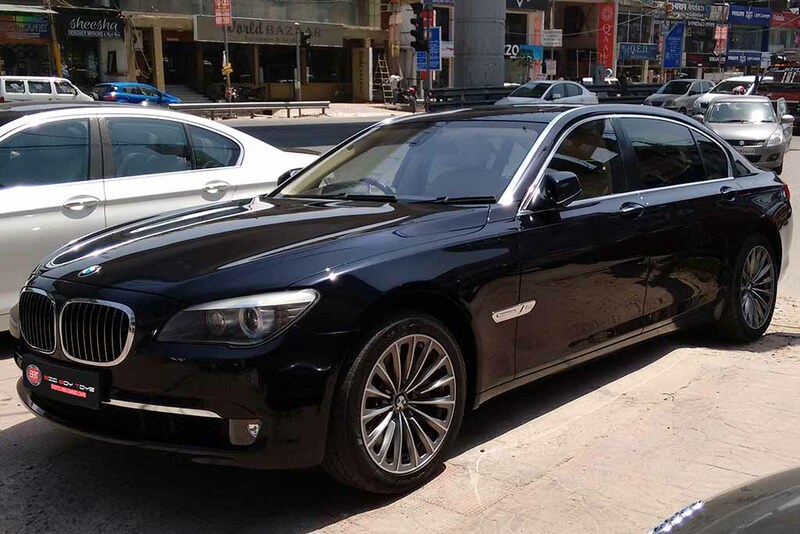 If you’ve ever ridden a BMW you know what exactly we are talking about but if you haven't, then there is good opportunity for you, as you can buy used BMW 7 series in Delhi from Big Boy Toyz at very reasonable rates. Now that you’re convinced about how good a BMW really is, we ought to tell you about the best BMWs of all time. The history stands as evidence, about how this has always been considered as the best cars that are desired by people through all ages, genders. Classes, and countries alike. That is the power of this car. The best sports car ever, as many call it- BMW 328 is the car that comes to mind of every sports enthusiast. The car was introduced in 1936, and there was not a single sports car race it could not win. The European Touring Car Champion had to be held in 1972, so BMW came up BMW 3.0 CSL to compete with the other cars. This car was a big hit, the car had been lightened up by removing excess trim and taking off sound deadening. To be precise, this was the car of 1970’s. The car of all ages. This car was the car of new excuses. You want anything from a car? This car would have it. People still love this car like no other. This car is love. If there has been another sporty addition to BMW, this has been it. We are not saying that this car is epic but you can’t find something as good as this one till date. Sports car enthusiasts will know what we are talking about. What is that word? Legendary. This is what we’d call this car. Everything about the car was so perfect that we can literally call it a dream car. If you have seen the James Bond movie- The world is not enough, this was the car. And the world is seriously not enough when it comes to the BMW Z8. We call this one the technological marvel. Oh yes, sitting and driving in this car feels surreal. The car does not just look seriously gorgeous but is also highly efficient. If you see something on the street looking like it's come from the future. This is the car! By now we know that you are already drooling, so we would not like to tease you more. But still we would like to put in your knowledge that if you’re looking for a used BMW 7 series in Delhi, you have the chance to find it at a great price at Big Boy Toyz or can visit the website at www.bigboytoyz.com. Anything and everything can change from time. But a BMW always stays a BMW. Does not lose its appeal in time!